Unmissable Indian Dishes To Add To Your Bucket List! Indian cuisine offers a range of exciting and delicious foods, but some are more widely eaten in the UK than others. Most of us are aware of chicken tikka, naan bread and saag aloo; but what about the more unusual dishes that don’t always make it onto the menu of your high street curry house? The next time you go out for Indian food, why not branch out and try something a bit different? You’re sure to be pleasantly surprised and, who knows, you might even discover a new favourite! Remember: variety is the spice of life! If you like the salty, fishy taste of whitebait, then you’ll love this dish that’s usually served as an appetiser or side dish. It’s economical to make and can be made in large quantities, making it a regular dish in many Indian homes, particularly in the southern regions. 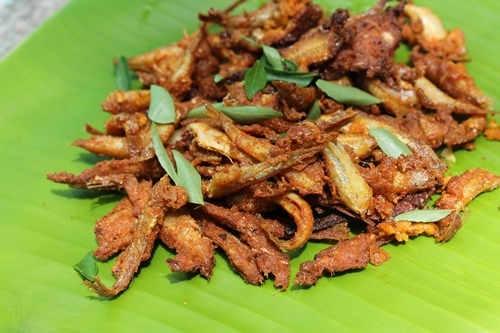 Dried anchovies are coated in a paste made from turmeric and red chilli, then deep-fried until golden and crisp – perfect for washing down with a cold drink! It is not known exactly where this sweet dish originated from, but its immense popularity throughout India is certain. Small balls of freshly-cured milk are simmered in a rich sugar syrup and served warm or hot. The intensely sweet morsels are served at nearly every Indian or Pakistani festival or celebration, sometimes being garnished with dried fruit, saffron or cardamom powder for a truly special finish. This hearty dish is eaten throughout India, but is particularly popular in the north where a large proportion of the population is vegetarian. Kidney beans are simmered in a thick, rich and fragrant gravy, to be served alongside rice and roti to make a complete meal. 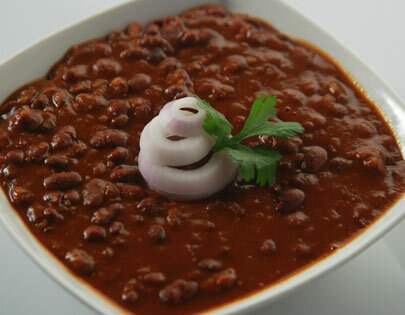 As Rajma is one of the favourite dishes among northern Indians, it’s enjoyed both at home and at special occasions as a crowd-pleasing dish. Dosas are ultra-thin, crispy pancakes that are made from a rice and lentil batter and originated in Tamil Nadu. The Masala Dosa is a version that started life in the Udupi region of Karnataka; the pancake is stuffed with a delicious filling of potato, onion, spices and green chillies. And it’s not just this list the Masala Dosa made it onto – a few years ago, it also featured on the World’s Most Delicious Foods list, compiled by CNN. You’ve probably heard of an onion bhaji, but what about Paav Bhaji? It’s actually something completely different! This fast food dish stemmed from Maharashtra to become a staple of the metropolitan Indian diet; a thick, intensely-flavoured vegetable curry (bhaji) is paired with a soft, slightly-sweet buttered bread roll (paav) and garnished with diced onion and a lemon wedge. The vegetables can be either mashed or whole, and toppings such as butter, cheese or fruit can be added. Have these dishes whet your appetite? Thankfully, you don’t have to travel to India to get your curry fix; head to one of London’s best fine-dining Indian restaurants and order something you’ve never tried before – go on, we dare you!